Stop by the Henry Mayo gift store all year long for fun and unique gifts for the ones you love. With a wide variety of trinkets and décor, there is something for everyone at the Henry Mayo gift store. Saturday, December 1 – Holiday Home Tour Boutique • 9 a.m. to 4 p.m.
For more than three decades, the Holiday Home Tour has been a cherished tradition of the Home Tour League, raising funds for Women’s Services. Attendees view selected Santa Clarita Valley homes exceptionally decorated for the Holiday Season. Visit Henrymayo.com for more details. Saturday, December 1 – Relay for Life Holiday Boutique • 10 a.m. to 3 p.m.
Join us at SC United Methodist Church for a fun-filled day of shopping. Hand-crafted cards, gift bags, jewelry, blankets, decorations, toys, woodworking, books, accessories and so much more. Saturday-Sunday, December 1 & 2 – 27th Annual Fine Craft Show • 10 a.m. to 4 p.m.
Join us for a free outdoor event featuring unique gifts and a shopping experience unlike any other! With over 50 artists’ booths showcasing high-quality, original arts and crafts, you are sure to find the perfect gift. Delicious food trucks and live music will kick off the holiday season. Located at Old Orchard Park. Saturday-Sunday, December 1 & 2 – Holiday Craft Fair • 10 a.m. to 3 p.m. Enjoy the aroma of fresh pine while making your own holiday wreaths, yule logs and other kid friendly holiday crafts out of fresh cut greenery and pine cones while supporting Placerita Canyon Nature Center. Admission is free and a small charge for craft activities supports Placerita Canyon Nature Center Associates’ efforts for various Nature Programs. Cash and checks accepted for craft supplies. For details call 661-259-7721. 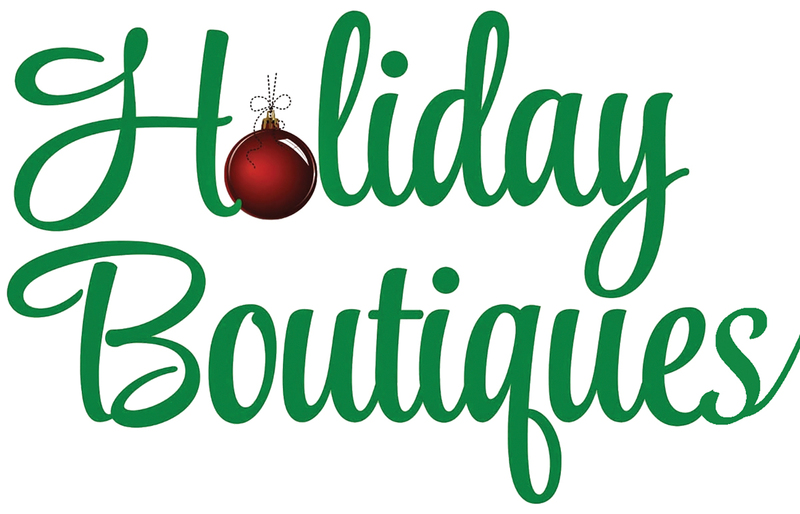 Wednesday December 5 – Advanced Dermatology Holiday Boutique • 4 p.m. to 7 p.m.
Shop at our Boutique for a wide variety of gifts, baskets and stocking stuffers that are ready to go. Enjoy Champagne, Spiked Apple Cider, Irish Coffee, Hot Chocolate bar & Hors d’oeuvres while you shop. Discount on all cosmetic procedures. Call 661-254-3886 or stop by 28212 Kelly Johnson Pkwy, Suite 245, Valencia. Over 30 Vendors will be selling their artisan crafts, clothing, jewelry, and more! Charles Dickens Traditional Carolers (aka the VHS Carolers) will be singing carols at noon on Friday and Saturday in the Valencia MPR. Saturday & Sunday, December 8 & 9 – Hart High School Boutique • 10 a.m. to 4 p.m.
Hart’s Holiday Boutique & Craft Fair offers a charming and unique shopping experience with artisans and vendors who provide handmade crafts, fashion accessories, jewelry, gift baskets, fabric creations and an array of unique fall and holiday gift items. Vendor applications are available at this time. For event information, contact Al Ewing, 661-259-1750.